2006 was a modest year for the wine industry. An uncertain year in Bordeaux was accompanied by the same gripes that re-surface every year about pricing and Parkerisation, and wondering whether the New World was on the precipice of replacing Bordeaux in the wine elite’s affections. 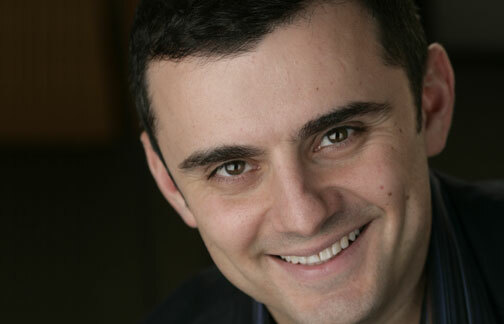 Just another year, but for the emergence of a fresh, exciting new talent who we just couldn’t help but warm to, Gary Vaynerchuk. Vaynerchuk’s style was far removed from the Michael Broadbent school of wine tasting. He was engaging. He was exciting. He had a funny name. You wouldn’t find him in a pinstripe suit chuckling into his claret with red-nosed men in five star hotels complaining about the standard of the buffet. No, he distanced himself from the old school and rather sought out new, unexplored means of getting his message across. And so it came to pass that those of us with nothing better to do would tune in to watch Wine Library TV, a video podcast in which he would taste and review wines, and provide advice, often in the company of special guests. Here in the UK we really embraced Vaynerchuk’s style. He was fun, and entertaining, and insightful. He really knew his stuff. But most importantly, we loved his approach. We talk quite often here on 12×75.com about taking the stuffiness out of fine wine, and indeed by its very essence and history and quite often, the nature of those who can most readily afford it, it can be a somewhat stuffy and elitist topic. Vaynerchuk was a pioneer of removing the stuffiness from fine wine, and he brought it to a whole new audience. It wasn’t long before critics were describing him as the second most influential person in the wine industry (after Parker) – not bad for a new kid on the block. The wine industry has lost Vaynerchuk for now – as an entrepreneur, successful author and all-round genius, it was inevitable that he would move onto other things. His final podcast of The Daily Grape – which succeeded Wine Library TV, aired in August 2011. Vaynerchuk’s influence transcends the wine world these days, and he is as influential in the greater business and social media sector as he was in the wine industry. As someone with so many strings to his bow, we were lucky that he decided to divulge his passion for wine for so long, and that he decided to share it with the world by the most public means possible. I really enjoyed watching Wine Library TV. I learned a great deal from it and found Gary’s enthusiasm to be infectious. We are fortunate nowadays that people recognise that we don’t need to subscribe to the old school approach to wine tasting. Here in the UK we have great wine writers and critics like Jamie Goode, Tom Cannavan, and Simon Woods to name a few, who have identified a new audience that didn’t find the old way terribly inspiring. A successful blog is a really powerful tool and people will only engage if you keep it light, entertaining and informative. When I first started in the wine trade, we barely had the internet (well, a slow, dial-up connection that we could rarely be bothered to wait for). It’s hard to imagine now all the time we spent leafing through Parker and David Peppercorn and Hugh Johnson’s World Atlas of Wine, and all of those fine books have their place. But if like me, you have a thirst for knowledge, but sometimes find your mind as jaded as your palate after a Sauvignon Blanc tasting, then you’ll understand the importance of exploring new media channels in re-igniting your passion for wine. So cheers for all your hard work Gary – I have a feeling that the wine industry hasn’t seen the last of you. What wine would Jesus have turned the water into?